Does anyone else feel like this cold weather just makes you want to eat endless carbs and feel good food? Well, I've got just the recipe for you today. Think pasta, halloumi and a tomato based sauce and voila there you have it; the perfect meal. 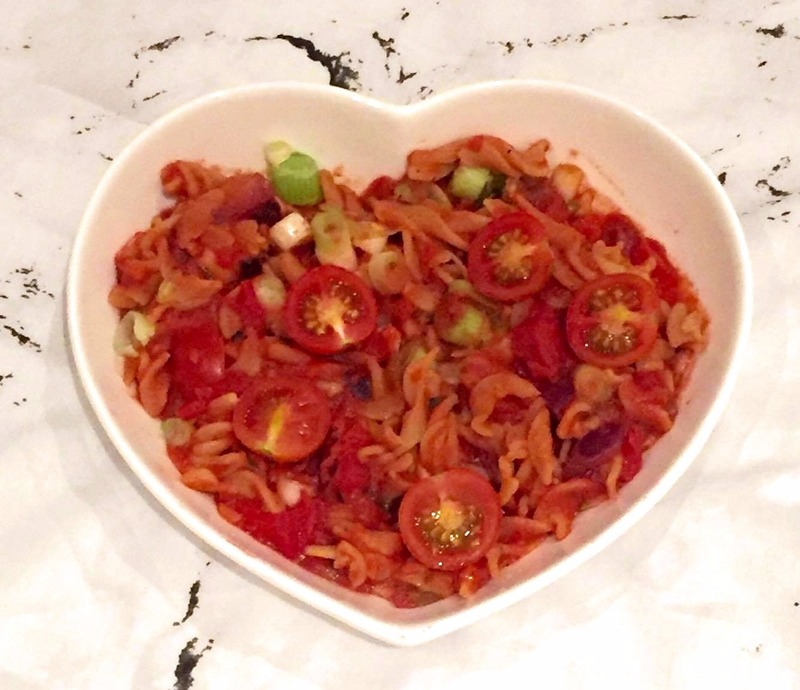 All you need for this recipe is some penne pasta (you can choose gluten free if you prefer), some halloumi, a tin of canned tomatoes and some spring onion. It's SO simple and easy to make and you can season it and chop and change the ingredients as you please. Firstly it's important to preheat your oven to 180 degrees before cooking the pasta according to the packet instructions. Whilst the pasta is cooking you need to chop your veg. I chose red onion, spinach and fresh cherry tomatoes. I fried that in a small amount of olive oil until golden brown before adding two tins of chopped tomatoes. Alongside this I cooked my halloumi in a small frying pan. I cut mine into small chunks but it's up to you whether you prefer strips. Once the pasta and halloumi is cooked add this to the sauce and continue to stir through. Season with salt and pepper and some garlic shake. To turn the pasta into a crispy bake, add some cheese on top and pop in the oven for 10/15 minutes. You don't have to do this step, it's entirely down to preference. There you have it, it perfect winter recipe packed full of carbs and lots of flavour. I often like to add in my favourite Filippo Berio Tomato and Ricotta Pesto too as it give it that extra flavour and the ricotta is delicious when you bake the pasta. If you've not tried this before then why not give it a go and let me know what you think of it. It's so simple and easy. I like to have it for my lunches at work as it makes me feel full but satisfied.